I've co-authored two books to help people learn about the fascinating field of Experience Design. 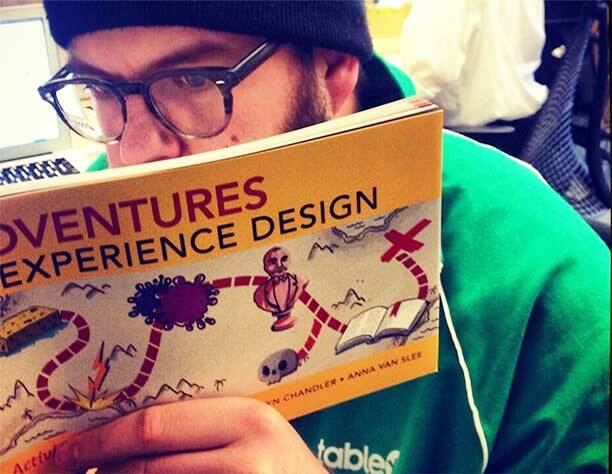 Find out more about A Project Guide to UX Design and the newest, Adventures in Experience Design. Looking to grow your design skills, or those of your team? I offer customized training courses for organizations - or you can apply for one of my ongoing design classes. Event planners? Let me know of your needs for a speaker. Product strategy & design, organizational development, and customer insights through research and modeling are just a few of the ways I can help you and your team. A two-day intensive on User Experience Design, which I teach through Ascend Training. Day 1 provides an overview of the components of UX such as Interaction Design, UI Assessment, and Information Architecture. Day 2 dives into the strategic advantages of experience design and cover User Research and Design Principles. I also provide corporate training sessions. Interested in bringing UX Design courses to your company?